He'll be performing at the New Theatre, Oxford on the 13th February & we've got 5 pairs of tickets up for grabs and even some drinks vouchers. Question: Which of these is a famous Michael Jackson Song? To win, simply fill in the above form. 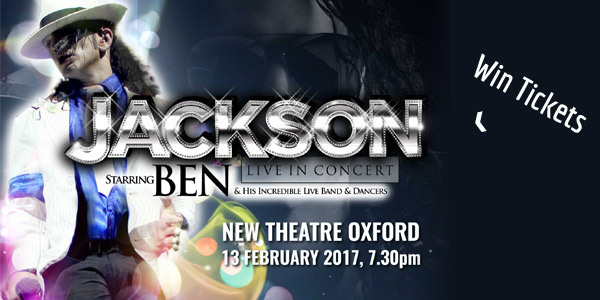 Each prize will consist of a pair of tickets and two drink tokens to see Jackson Live at New Theatre, Oxford on opening night 13th February 2017.